Ever since the last elections in Kenya, the world has seen the country sink into violence, due to the accusations of fraud in the elections controlled by president Mwai Kibaki. The author says that the most serious European press has analyzed the conflict as a typical expression of the savage tribal confrontation characteristic of Blacks. However, other sources assert that the majority of assassinations have occurred at the hands of the State, and not at those of any Kikuyu tribe or ethnic group. Why the African Union must shake off its indifference and avoid another Darfur. The police denied these accusations, saying that they had acted strictly within the laws of this country. The body’s spokesperson, Eric Kiraithe, stated: some of the complaints we are receiving are from property owners who state that the police did not make use of all of their lawful powers to protect their property. It was discovered that the opposition party was drafting a law with the support of the Kenyan Landless Movement, and according to British sources it concerns an organization financed by Mugabe that groups together more than 2 million landless people, the majority of whom would have voted for Odinga. 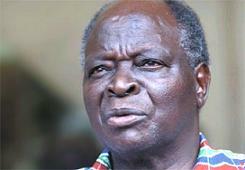 The opposition, embodied by the Orange Democratic Movement (ODM) and directed by the current Minister of Roads, Public Works and Housing, Raila Odinga, has asked that new elections be held, but up until now Kibaki has rejected that petition and hinted at the remote possibility that an interim government be installed after the vote recount, without the presence of international organizations on this occasion. These young people, angered by what the international community recognizes as a fraud, are those who are furiously protesting and burning everything in sight as they wait for something more than hope. This law would open up a debate in Africa about the distribution of lands, which is part of the demand of not only the most impoverished masses in Kenya, but of those in Mozambique, Uganda, Malawi, South Africa, Angola, Namibia, Zimbabwe, etc. Outside of all of the discourse, what role should the African Union play? For the moment, it has timidly tried to help, with John Kufuor’s intervention. Aside from being the president of Ghana, Kufuor is currently the president of the organization, but his management has not been successful. “The crisis will affect Kenyan emigration to European countries on the Mediterranean” There are some people who claim that Uganda is giving Kibaki military aid with the presence of Ugandan militias in both the Western province and the province of Nyanza. It is rumored that the Ugandan Armed Forces were effectively within Kenya’s borders. The Ugandan army’s spokesperson, Commander Felix Kulayigye, confirmed the deployment of the troops, saying that it was to prevent violence from possibly breaking out in Kenya. On the other hand, the president of Uganda, Museveni, is a strategic regional ally of the United States, and has been the first leader to recognize Kibaki’s victory. As a result, Kenya’s political instability has not only had devastating effects on Uganda’s economy, but also on the Bush administration’s leadership in its struggle with France for control of the Democratic Republic of Congo’s resources and, by extension, their great lakes. The crisis will affect Kenyan emigration to European countries on the Mediterranean. With more than a quarter of a million displaced, added to many others who have already fled the region, this reality contrasts with the actions of Javier Solana, the spokesperson for the European Union, which appears to be completely removed from the consequences. Perhaps we must wait for the arrival of a Frontex force to treat them as terrorists or delinquents, and once again be witnesses to the same scenario that we experience with boats filled with war refugees abandoned by the international community in Malta. Due to this, we must ask ourselves if the crisis in Kenya has its roots in tribalism or in the West’s interest. We must ask ourselves why, despite the evidence, even the most progressive European press continues to subscribe to and promote the idea that the crisis is the result of tribalism. It reveals Western public opinion’s immaturity, how it is afraid of discovering the truth about the origin of the African crises and, consequently, of immigration. Kenya has been dismantled in one day, showing the fragility of the so-called stable countries, replete with natural parks, animals shown to us by documentaries after meal time, and many tourist destinations that, for the sake of enjoying the democratic alternation without it posing a threat to the West, do not show us how the people live, and the reality of the African masses. Almost two months after the EA/EU summit in Lisbon, the current crisis raises many questions. Is the ODM opposition truly a real alternative for the Kenyan pueblo as a short-term instrument for resolution of this crisis? It will depend upon the African Union’s capacity to shake off its indifference and not allow another Darfur. Most of your information is fabricated. I know that Raila Odinga is not a Minister. What is wrong with you?Why are you fanning the flames with your lies? Correct yourself- check your sources. You are not a journalist. You are a QUACK!